Hand with dumbbells. 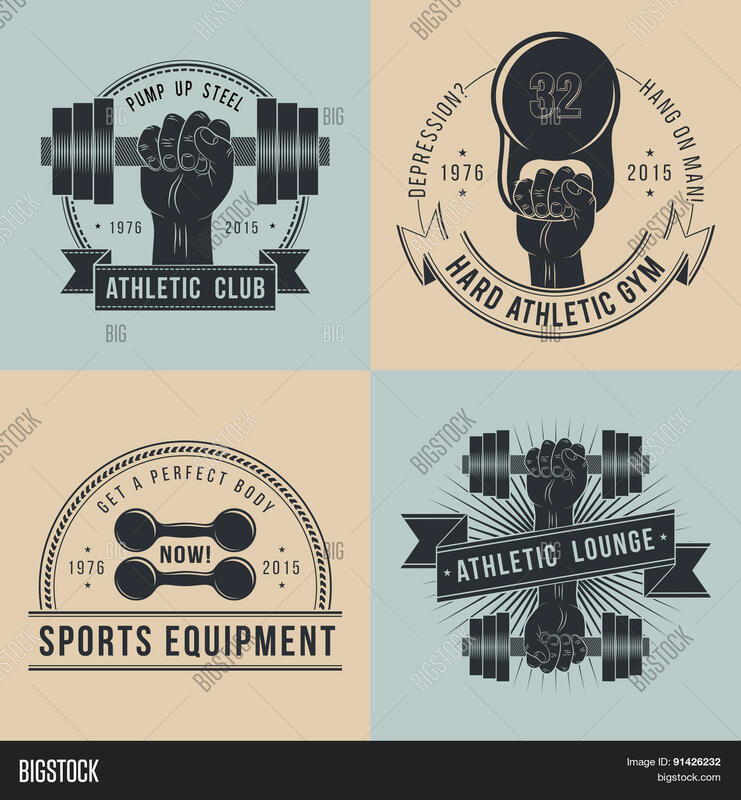 Logo for sport athletic club. 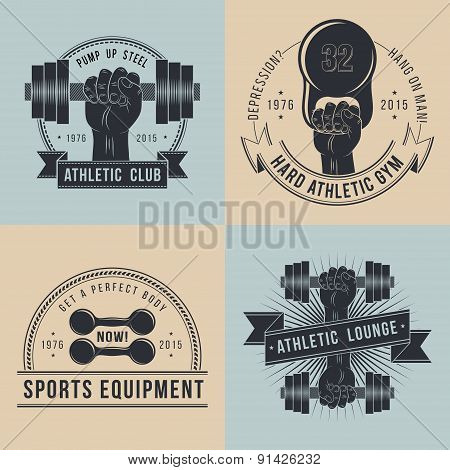 Coat of Arms for the gym or sports shop. In old school style .